If Dave Hosick believes in signs, it’s because on the day he broke his neck playing rugby he missed quite a few. 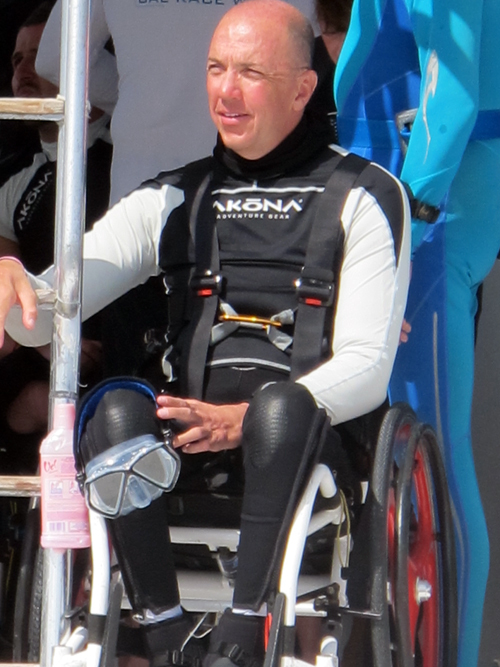 Photo of Davis Hosick on the Set of The Current, a documentary about disabled divers. `But hindsight is 20/20, and on the day of that fateful collegiate game twenty-eight years ago, Dave had no reason to believe his future was anything but bright. With a stint in the army behind him–he’d signed up straight out of high school, spending six years saving money and figuring a few things out–he was in the final year of a criminology and psychology degree. He was married, and fighting fit. And then, with one bad tackle, everything changed. Some people might view this kind of life-changing injury as a clear sign to give up. But to Dave it signaled the opposite: it was a sign to double down, employ the grit and determination that had seen him through his army career and sporting life and work twice as hard. Dave’s drive to re-enter the world of physical exercise soon saw him determined to find a way to enjoy the activities he’d always loved. Although he has good upper arm strength, which allows him to self-propel his wheelchair, he only has a little grip in one hand, which means he would need to find a new way–a new normal. Hand pedals allow Dave to race. The fast-paced wheelchair sport opened a world of possibility, giving Dave the confidence to try new ventures. 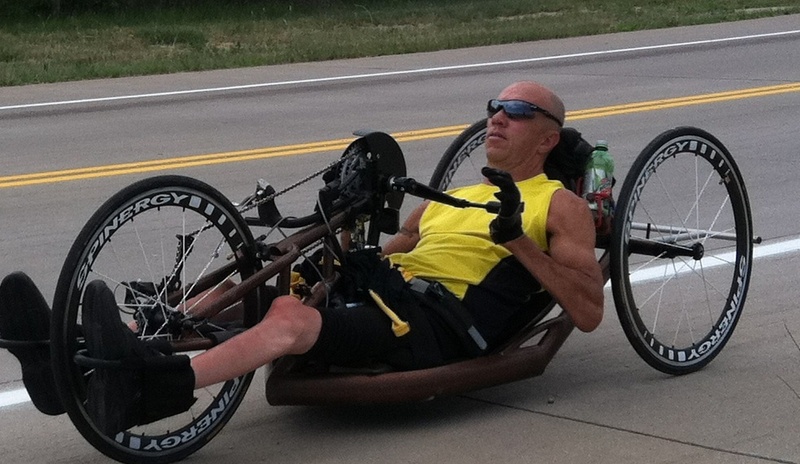 Today, he handcycles–both on and off-road–skis, kayaks, and dives. Recently he’s been going on excursions with Adaptive Adventures, an organization offering outdoor activities for people with disabilities. 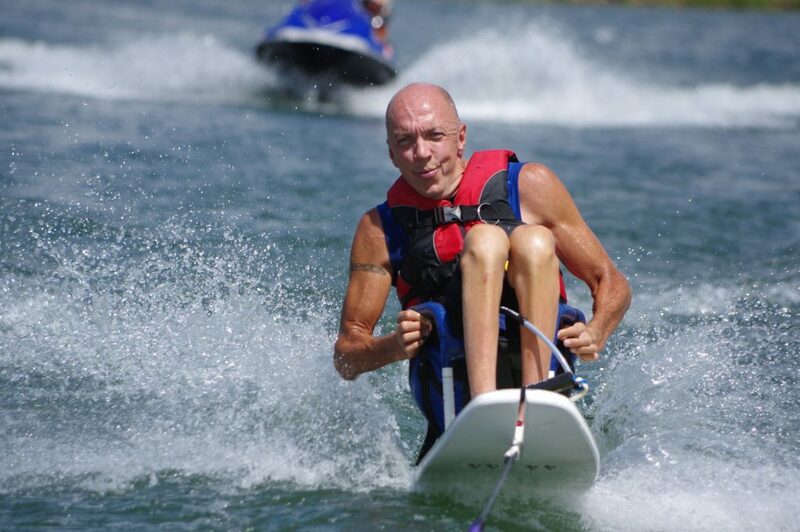 This winter, he’s planning on heading to Idaho and Utah with Adaptive Adventures to hit the slopes. Diving’s a sport that few of us will ever attempt, let alone reach proficiency in. But Dave’s determined to push himself. 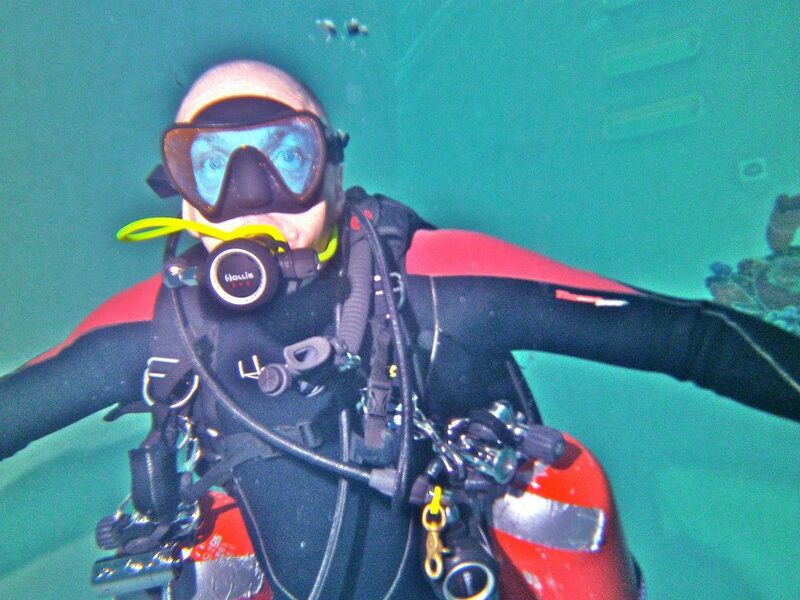 “I went to Guadalupe Island and we did cage diving with great whites. That was really something. 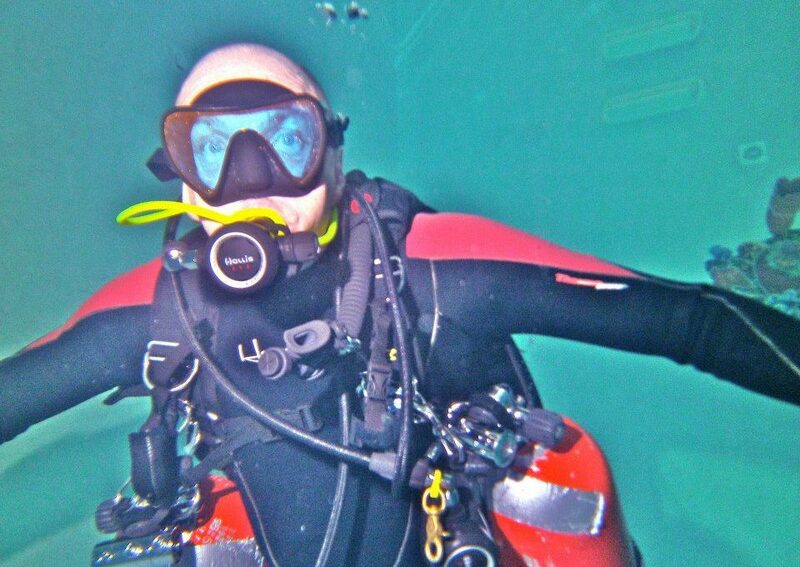 It inspired me to do different types of diving.” His goal is to become a technical diver, descending to greater depths to explore wrecks. His passion for underwater exploration also inspired a quirky, romantic proposal. Dave in his buoyant-free environment. Reluctant to lose an expensive item of jewelry on the ocean floor, Dave offered Valerie a plastic Smurf ring. “When we got back onto the boat she was like “so, is there a real ring involved?” There was, and the couple has been happily married for the last year. Dave keeps his fitness up by cycling every day, either on his handcycle or mountain bike. He admits mountain biking can have its hairy moments. 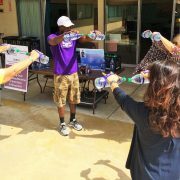 Dave applies the same determination he channels into his sporting endeavors in his everyday life. After spending more than two decades proving to himself he’s capable of living a full life, Dave’s thoughts are turning to helping others. You can see Dave featured in The Current, a documentary about diving with disability.